Español-Castellano - Artículos de Loomio en Castellano. Stories from amazing people make changing in their communities and organizations. Guides and tips for becoming a Loomio pro. Articles and interviews with people doing awesome stuff with technology, democracy, and collaboration. Try Loomio, log in, and find out more at loomio.org. This work by Loomio is licensed under a Creative Commons Attribution-ShareAlike 4.0 International License. “No matter where you are, the Workforce Capability Framework provides means to identify how best to help people and where to find resources. The Framework goes into detail and aims to guide anyone across the workforce including community members who intersect with people experiencing family violence, sexual violence and/or violence within whānau”, explains Giselle Wansa-Harvey. Loomio is designed for online collaboration that turn discussion into action. Try Loomio for your group here. The space programmes remind us of the 1960’s early TV news reporting about the first space missions. The modern space programme can be something different: a digitally organised international group, like Space Cooperative. They are a California-based group of talents, who share an expertise and interest in space. Yalda Mousavinia is one of the co-founders behind Space Cooperative. She describes the work of the group as an initiator, getting the right people and knowledge together. Even though the cooperative is focused on outer space, their work can have a use anywhere. “We think of space as including earth, too. A lot of the governance that we are developing is not only applicable to space, but any large scale project, like city planning, may require similar kind of resources and skills”, Yalda explains. The company was sparked in 2016, when some of the co-founders met at a hackathon organised by NASA. Today Space Cooperative has 13 members from backgrounds varying from engineers to writers, and architects to software developers. A year after launching, Space Cooperative has started to become noted in the space industry. One of their main goals is to connect smaller organisations in the field to reach synergy of skills and resources. To support this, Space Cooperative has started a collaboration network called The Space Decentral Network that connects like-minded corporations and cooperatives together. Space Cooperative itself works as a catalyst for many projects. Due to limited resources, and the astronomical scale, they cannot focus on all of their project ideas internally. Instead, the cooperative prioritises one or two projects at a time and creates a template for the others, to help people take leadership and iteratively work for finding solutions. “One of our main projects at the moment is called Solar Regatta that researches the technology for exploring and mining asteroids. The project was proposed to us in a conference in China, and it has stirred quite a bit of interest amongst partners and collaborators”, tells Yalda. Space Cooperative is incorporated in California, but the members work as an all-digital team from different cities and countries. Hence, all the work is essentially done online through several programmes. One of the main platforms connecting cooperative members is Loomio, which acts as a place for discussing partnerships, making funding decisions and processing documents, amongst other processes. “I cannot imagine efficiently operating a virtual distributed organisation without Loomio. Since adopting it, we have had less Slack, less email and more discussions that lead toward actions,” Yalda tells. Besides its functionality as a tool, Loomio has given the group inspiration in crowdsourcing, and the creation of a cooperative culture. Yalda describes the ultimate long-term target as eventually creating a network of cooperatives and businesses, representing different ideas and working together for a decentralised space programme. The goal might be as far as the stars, but that’s what Space Cooperative is made for. People in 75 countries joined a fundraising fitness class for supporting children’s access to water in East Africa. The event was a result of Unicef NZ and Les Mills putting their strengths together in a global campaign supported by Loomio. In mid 2017 MovetheWorld.live established a partnership between UNICEF NZ and global fitness company Les Mills International, sharing a goal of creating a world where every child survives and thrives. Access to clean drinking water, one of our fundamental needs, affects over 2.1 billion people worldwide. Children are especially vulnerable to the effects of waterborne diseases. On the 18th of November 2017 tens of thousands of people in 75 countries took part in the “Workout for Water” campaign led by Les Mills instructors and clubs. The goal was to raise funds and awareness for UNICEF’s global programmes for children. One of the challenges faced from the project outset was to mobilise team members across multiple locations and timezones. “Creating a team space to facilitate, capture and consolidate our thinking; make decisions and collaborate on the work was a priority from the beginning”, says Chris Rae, Programme Manager, Move the World.live. The newly established team crossed four organisations based in Wellington, Auckland, Geneva, Copenhagen and London. Face to face meetings were rarely an option and at no point was the whole team in the same room. “We had about 3 months to move from zero to global fundraising capability. While we used tools like Trello to manage our Product Backlog and Zoom for our face-to-face virtual meetings, we wanted an intentionally designed virtual team space to help the team form quickly, where anybody could start or participate in conversations”. Understandably the team was initially reticent about using “another new tool” but before long everyone was using Loomio including the Project Governance Board. The new Loomio product features released earlier this year helped the Move the World team to save time. The team made extensive use of sub-groups with vendors, technical and management teams. Importantly, Loomio allowed specific content to be shared efficiently with only the relevant people. Moreover, the security of Loomio gave the team trust to use it as a confidential platform for reviewing and archiving documents. Workout for Water was run in less than six months, which is a relatively short time for a global campaign by two large organisations. Regardless of geographical challenges and time-pressure, the team managed to organise their work successfully. As a result, the campaign has raised over USD $700k to date; enough to set up 1,700 water pumps. Loomio has been collaborating with academic researchers Shiv Ganesh at Massey University in New Zealand and Cynthia Stohl at the University of California, to do the first large-scale survey of Loomio users. The survey is still open, but we are already getting some really fascinating information on who we are as Loomio users, how we use Loomio, and what we use it for. We know, for instance, that we are more age diverse than we previously thought. While a third of our users are young (i.e., below 40 years old), nearly a quarter of us are 60 and above. Pew research has shown that messaging and decision-making apps are not popular amongst senior groups, so it is fantastic to see how well we are doing with senior demographics. We have also confirmed, as we suspected, that we are an (over)educated bunch of people; a full 75% of us have undergraduate degrees, and 40% of us have postgraduate degrees! 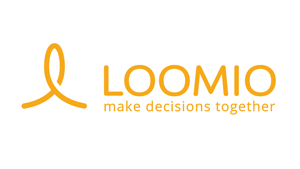 We also now know that Loomio is an important part of our decision-making media matrix. Over a third of us have reported that 50% or more of our group interaction takes place on Loomio, and about half of us report that Loomio is very important or absolutely essential compared to other digital platforms we use for group interaction. The top three tools other than Loomio that we use to communicate are Email, Facebook and Texts or iMessages, with Whatsapp, Twitter, Skype, Telegram and Slack also being important complements. Finally, we are beginning to get a detailed sense of what we use Loomio for. We asked you to tell us what sorts of issues your work connected with, and over 37% of all users so far have identified democracy and justice as central issues. Other critical issues for us include environmental issues, human rights, economic inequality, feminist and gender issues, sustainability, technology, and labour. Over the next few months we expect to produce more fine-grained pictures of how we use Loomio and for what purposes, the organizing archetypes that drive this use, and how we feel about Loomio and its effectiveness. There is still an opportunity to participate. If you would like to take the survey, please click here for the English version, and here for the Spanish version. One of the benefits of working at Loomio is that we get to connect with a big variety of social movements around the world. It’s always inspiring to discover another group of citizens finding new ways of generating deeper engagement with their government. Here’s a short story about one of those movements using Loomio right now in Venezuela. DSDVzla (Democracy, Society and Development of Venezuela) is a movement of distributed networks all over the Venezuelan territory. This year in April, they started using Loomio to organise and communicate with citizens. In conversation with them, they told me that because of the current political crisis in Venezuela, they have had to use all their effort, cleverness, creativity and courage to guarantee greater democratic participation. Loomio helps them organise effectively, despite the movement being distributed across the country. Everyone can participate in decision-making, while still moving quickly and efficiently. They have found the new decision tools particularly helpful, especially the poll, the time poll and check. They’re sure they will get to fully benefit from all the functionalities that Loomio offers, as a tool well adjusted to the needs of the new millennium organisations. You and your team can also benefit using Loomio! Set up a new group here. Una de los beneficios de trabajar en Loomio, es estar conectada con una gran cantidad de movimientos sociales alrededor del mundo. Siempre me inspira encontrar un nuevo grupo intentando generar una mayor participación ciudadana en sus gobierno. Esta es una pequeña historia sobre como uno de estos grupos está usando Loomio en Venezuela. El grupo Democracia, Sociedad y Desarrollo de Venezuela (DSDVzla) es un movimiento de redes distribuidas que se extiende por todo el territorio nacional de Venezuela. En Abril de este año han comenzado a utilizar Loomio para organizarse y comunicarse con los ciudadanos. En conversación con ellos, me cuentan que bajo las condiciones políticas por las que está atravesando Venezuela actualmente, han tenido que poner toda su astucia, esfuerzo, creatividad y coraje, para mejorar y garantizar una mayor participación democrática. “Nos vemos en la necesidad de usar nuevas herramientas de comunicación e información. E implementar formas de activismo y organización políticas novedosas que permitan que todos los ciudadanos puedan ser partícipes social y políticamente desde su propia realidad y con sus propias habilidades”. Considerando que el movimiento está distribuidos a través del país, Loomio les ayuda a maximizar sus resultados. Permitiendo que todos los activistas tengan la oportunidad de participar en la toma de decisiones eficazmente y en corto plazo. Encuentran particularmente útil las nuevas herramientas de decisiones de Loomio para organizarse, sobre todo la encuesta, la comprobación de participación y la coordinación de horarios. Y están seguros que llegarán a aprovecharán todos las funcionalidades que Loomio ofrece al ser una herramienta muy bien adecuada a las necesidades de las organizaciones del nuevo milenio. Tú y tu grupo también pueden beneficiarse usando Loomio! Inicia un nuevo grupo aquí.